self-rising flour | Cooking is Fun … Really!! 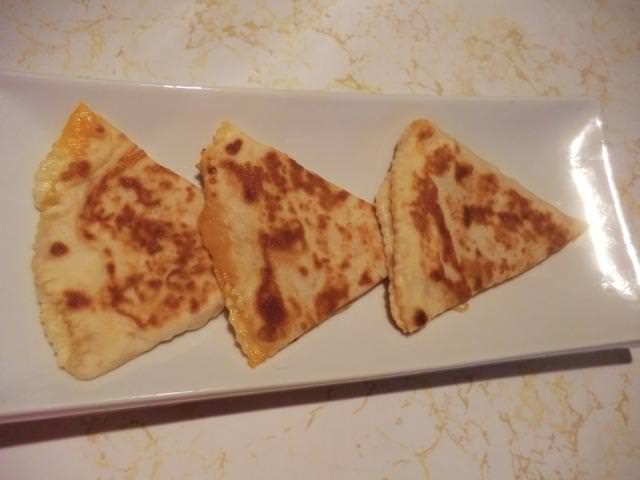 Lately, I’ve taken to experimenting with various breads of the world … tortillas, fatayer, khachapuri. Not only are they tasty, but they’re filling and inexpensive and, by switching up the fillings, they’re rarely boring. 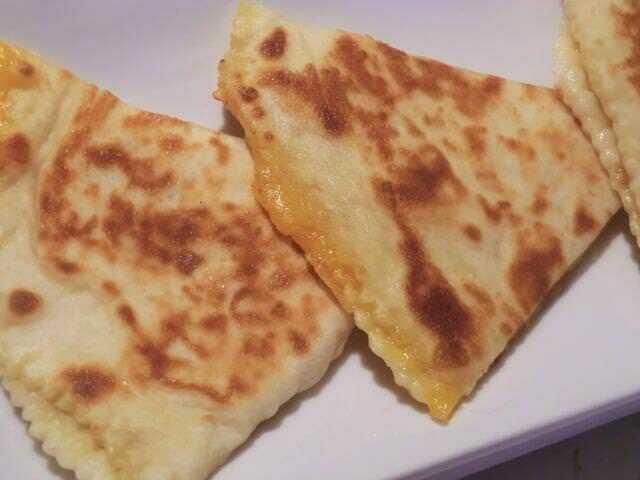 Gozleme are Turkish flat-breads, rolled very thinly, like burek or strudel dough, and then folded over or around greens (spinach or beet tops) and cheese (feta, cheddar or other hard melting cheeses), seasoned meat mixtures, sauteed mushrooms or even seasoned potatoes and then brushed with olive oil or clarified butter and sauteed in a pan. 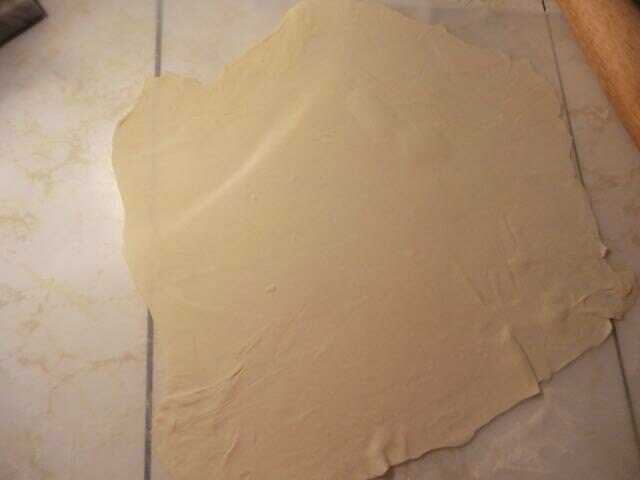 The dough may be unleavened or leavened (yeast or baking powder) and the liquid used may be water, milk or yogurt. For my first attempt, I decided on a simple recipe in which the dough is made with self-raising/rising flour, yogurt and a bit of salt. 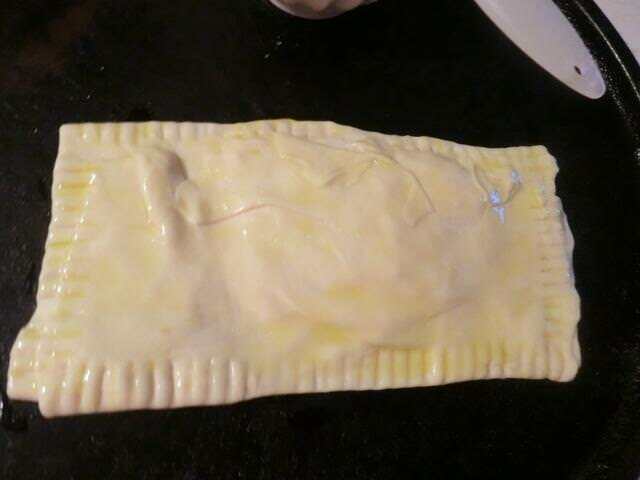 For the filling, I just used some grated cheddar. 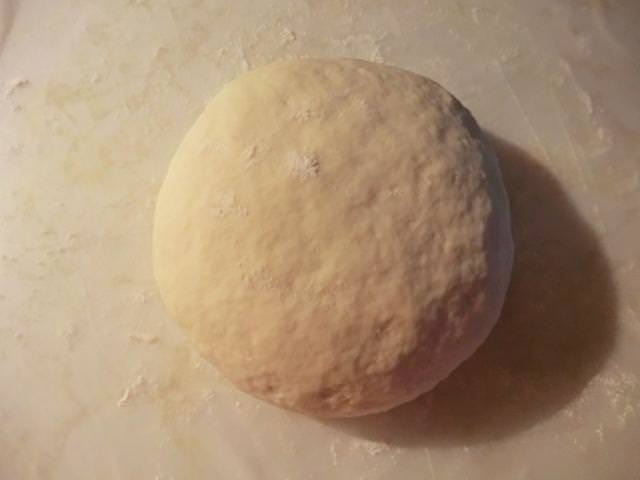 The dough was a bit wetter than I expected but I resisted adding additional flour and used as little flour as possible to do the kneading. 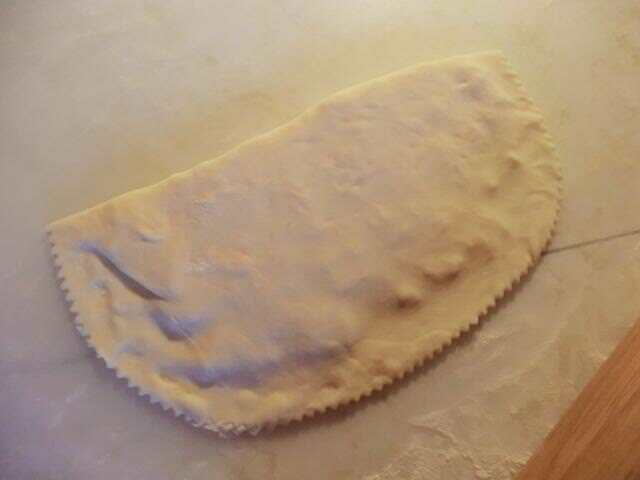 The results were successful … a smooth, silky dough that was fairly easy to roll out to the size called for (20-25 cm/8-10 inches). The only problem was the cooking temperature. 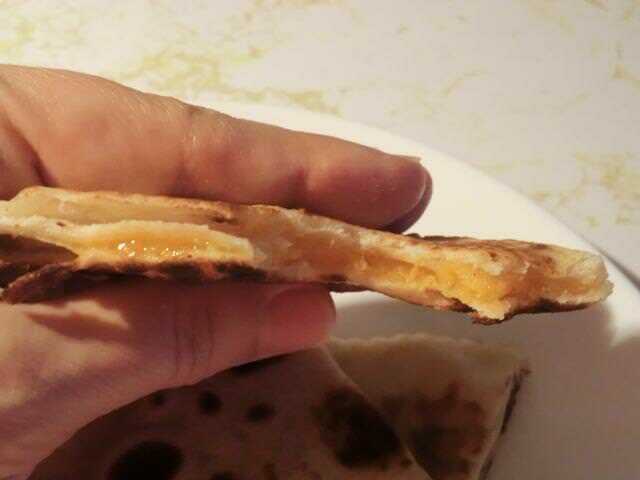 Knowing my stove, I was leery about cooking the flatbread over medium-high heat, so I turned the heat down to medium. 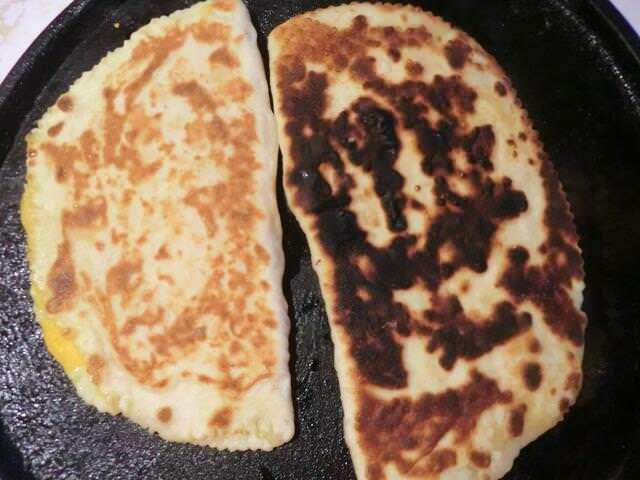 Even after only one minute, in my cast iron frying pan, the flat-bread was almost charred black, so I decided to cook the rest of the flat-breads over medium-LOW heat, for 1-2 minutes per side, until they were golden. 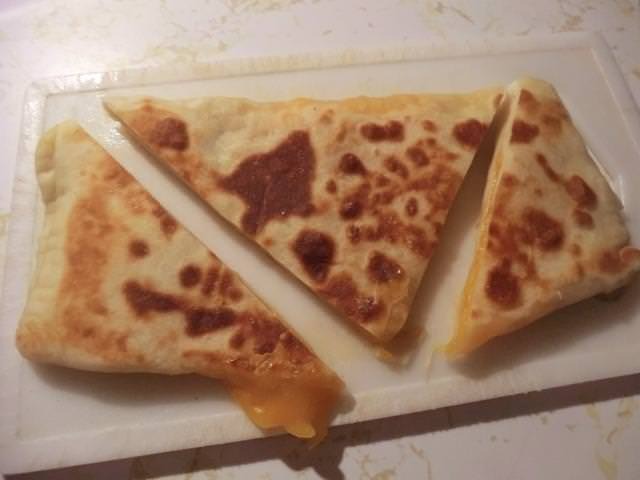 I also played around with the shaping and found that the simplest method, a circle of dough half covered with the filling and folded over into a half moon was the most successful as the more elaborate folded rectangle or square packets ended up with the thicker (multi-layered) side not frying in the time expected and resulted in an underdone/gummy flatbread.